Personal injury law firm Jerome O. Fjeld, PLLC, helps Colorado resident secure a significant confidential settlement without the necessity of filing suit. The law firm of Jerome O. Fjeld, PLLC has settled several significant dog bite and dog attack cases throughout the country and recently in Colorado, but Fjeld says that one of his most memorable cases was a case in which he obtained a $1.975 million dollar verdict from 12 conservative Harris County jurors in a case styled Cause No. 2010-75190, Stephanie Smith v. Rios Radiator & Mechanic Shop, filed in the 11th Judicial District, Harris County. The jury verdict was rendered in the summer of 2012. In discussing the verdict with the jurors after the trial, they thought both attorneys did an outstanding job but Fjeld’s humanizing of the dog attack victim weighed heavily on their outcome. “It wasn’t a clear cut case because the chain stopped the sleeping pitbull just short of contacting my client when it charged her but my poor client was so scared when the pit bull attacked she tripped over a car lift and broke both wrists,” said Fjeld. The jurors were upset that the shop owner trivialized the matter and the fact that the Plaintiff had to have help bathing from her 20-year-old son. The case is also memorable for Fjeld due to the fact that after the trial a defendant started to refer his friends and family to Fjeld when they were in automobile accidents. Jerome O. Fjeld is a skilled personal injury attorney who believes that all clients deserve the best representation possible. Jerome O. Fjeld is a member of the Million Dollar Advocates Forum and Multi-Million Dollar Advocates Forum. The Million Dollar Advocates Forum is one of the most prestigious groups of trial lawyers in the United States. He studied law at the University of Houston Law Center. In law school, he was recognized as a Leesfield Scholar by the American Association of Justice. He has more than 17 years of experience in personal injury law. Before founding Jerome Fjeld & Associates, PLLC, Fjeld served in the United States Navy, where he earned the Navy Achievement Medal and the Good Conduct Medal. Jerome O. Fjeld, PLLC is a personal injury law firm located in Houston with a focus on helping personal injury victims get the compensation they need through strong legal counsel. 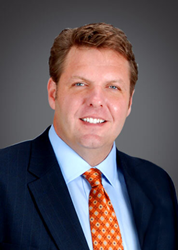 The firm was founded by Jerome O. Fjeld, a personal injury attorney with more than 17 years of experience.